Stunt people give us some amazing moments in movies and on TV. Now, they’re bringing their awesomeness to the Internet. 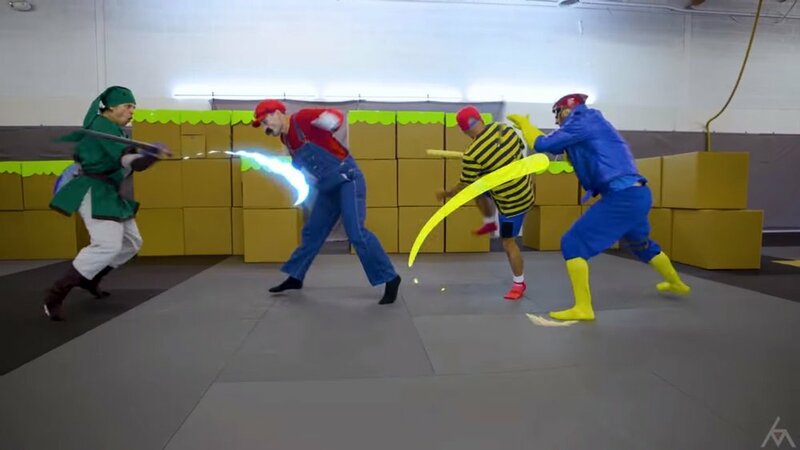 In a new video from Legend of Micah, some stuntmen who have worked on The Walking Dead and Marvel movies teamed up to give us an awesome fight scene mimicking Super Smash Bros. There is a Mario, a Link, a Ness, and a Captain Falcon present in the fight and I gotta say, the choreography is fantastic. Micah Moore directed the video with music from LGENZIA and it was shot at Atlanta Judo Midtown.